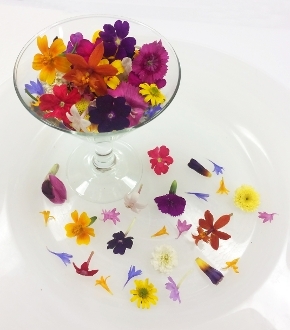 Micro Premium Flower Mix is a blend of Micro-sized flowers; Fantastic array of colors and textures; Perfect on cupcakes, sorbets and dessert parfaits. Equally stunning on signature cocktails, soups and salads. Adds color, flavor and pizazz.